How To Choose Curtains In The Bedroom? Leave a Comment on How To Choose Curtains In The Bedroom? The bedroom is the most intimate place in the house, where after a hard day we try to forget about everything and enjoy a cozy, comfortable and so long-awaited rest. That is why in this room nothing should darken the mood or, which is generally unacceptable, annoying – from curtains on the window and ending with the door handle. If the choice of the door handle depends solely on the preferences of the owner of the bedroom, then in relation to curtains, the situation is much more serious. How to choose curtains in the bedroom? Do I need to know any special nuances and subtleties to find the perfect option? 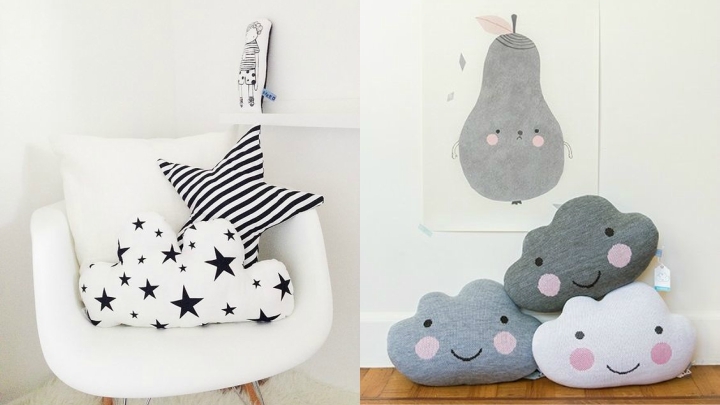 In the house or apartment bedroom – perhaps the most permanent place in terms of microclimate. There are no sudden changes in temperature; humidity is almost always at the same level – in a word, there are no aggressive factors that have a detrimental effect on furniture and decor. 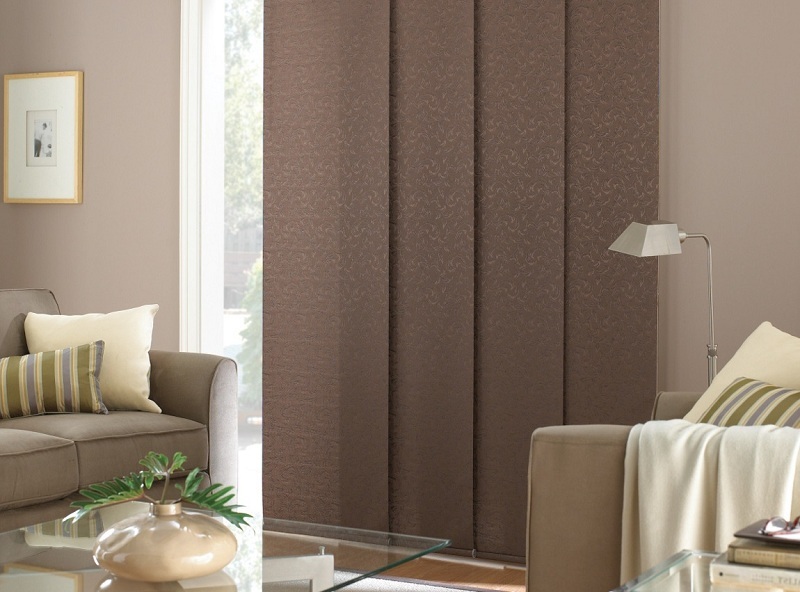 In this regard, there is no need to choose curtains from some special materials. Simply put, the bedroom owners have their hands completely untied: lovers of natural fabrics can choose curtains models of their linen, cotton, silk or satin, and those for whom the composition of matter fades into the background, may prefer beautiful synthetic curtains. Tip! 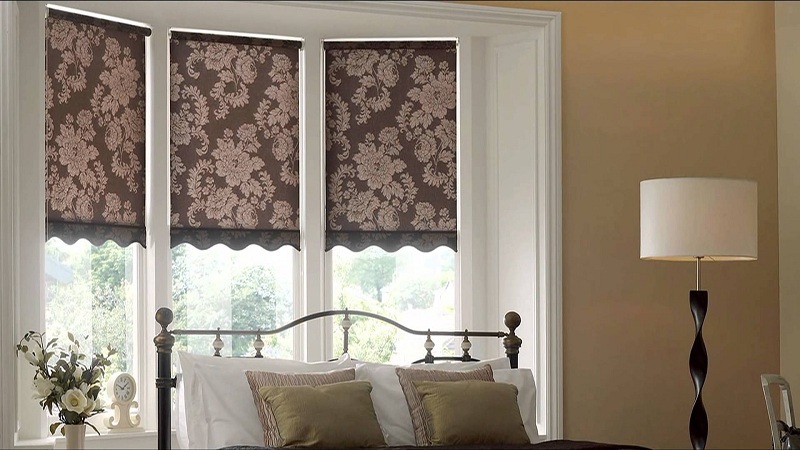 If you want to choose curtains really high-quality for your bedroom, then do not save on fabric. 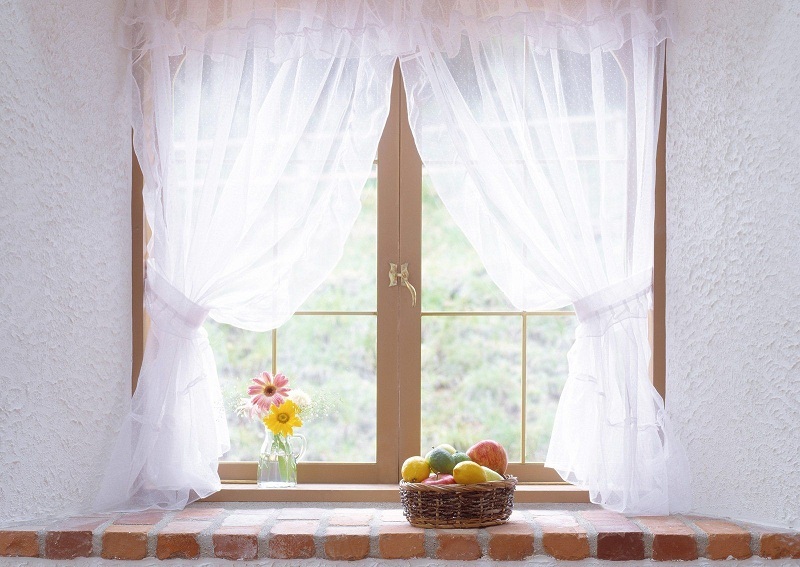 Know that the durability and practicality of the window “clothes” will depend on the quality of the material, moreover, the wrong material can have a negative impact on health (for example, cause allergies). As for the density of the fabric, then you need to ask the question – for what purpose do you need window draping. If you want to reduce the penetration of sunlight, then, in this case, you need double curtains – translucent airy tulle and thick curtains. If your goal is to concisely finish the window design, then in principle any curtains fit in the interior. Now let’s stop at the length. According to the basic recommendations of the designers, the curtains should completely block the window opening, touching the floor or even lying on it. An exception is a situation when the bedroom is decorated in the style of Provence or Country, where the use of short curtains or roller curtains is appropriate. In terms of practicality, there is only one advice – choose the one that is undemanding to care. Ideal – if the curtains are easily erased and dry quickly. What are the curtains for bedrooms? Blinds. As a rule, this type is used as an auxiliary element, reliably protecting from excessive sunlight and prying eyes. But there are exceptions, for example, the minimalism style dictates the design of the window precisely at the expense of the blinds. 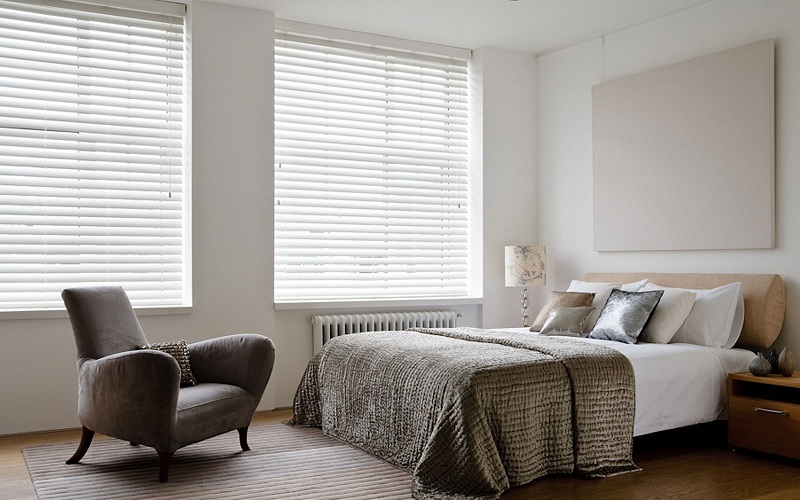 The market offers huge variations in the design of blinds, which differ in color, material, width, and orientation of the slats. Curtains. Simple and with taste – this is how you can describe this type of curtains, which is made of a straight, long cloth covering the window opening “from edge to edge”. As for the functions performed, the curtains act as a decorative design, since, due to their airiness and translucency, they are not able to reliably protect from the sun. 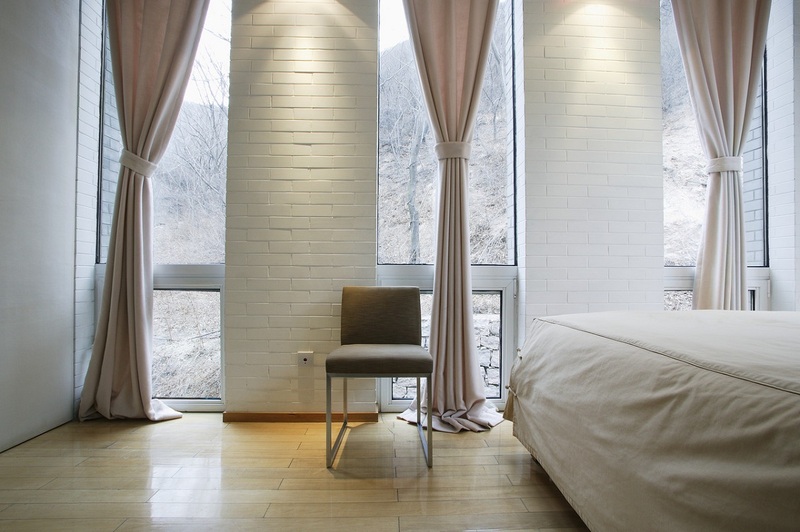 If you use the curtains as an independent decor, then they are perfect for bedrooms with northern orientation windows. If you make an ensemble with thick curtains, the edges of curtains expand, making them a practical and incredibly sophisticated decoration of the window. Portieres. Due to the fact that the curtains are made of dense and heavy fabrics, they are perfectly combined with translucent tulle, bringing the interior notes of royal gloss. In addition, this type of curtains perfectly copes with unwanted light and noise, which is why it is perfect for decorating the bedroom window. But there are also some features. So, for example, because of their visual massiveness, they can create a feeling of an overloaded interior, therefore they are undesirable for use in small bedrooms. The exception is the English style, where the curtains are the self-design window. Classic. 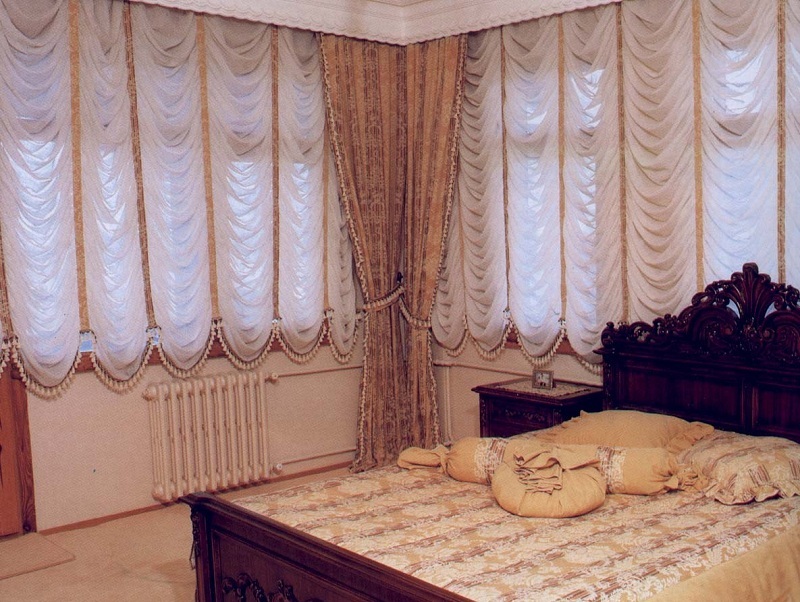 This is a set of transparent tulle and thick curtains, which is suitable for decorating the bedroom in a classic style. Roman. This type of curtains is widely used in the design of windows of small bedrooms, as it has a huge number of advantages: they are practical, quickly transformed, do not take up much space and are very stylish. Designers they fell in love because of its versatility. So, the Roman curtains can either act as a bright accent in the interior or completely dissolve in it, creating a feeling of a complete and complete bedroom design. French. 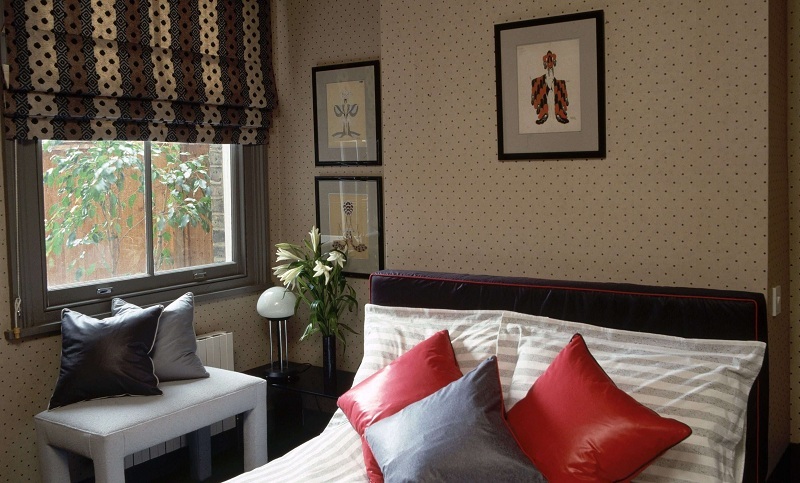 For a spacious and bright bedroom with classic interior French curtains will be the perfect solution. Their distinctive feature is the presence of a large number of folds that make the window curtains airy, and the room itself is at the same time cozy and luxurious. Austrian. This view is derived from a combination of French and Roman curtains. From the first Austrian curtains received a lot of lush folds, and from the second – the control mechanism and the horizontal orientation of the lift. Previously, they were used to design the homes of aristocrats, and today they decorate the bedrooms of sophisticated personalities who know a lot about real fashion. Italian. In fact, these are the same curtains, but with one difference – they are firmly fixed on the eaves and cannot move along it. Vietnamese (rolled). At first glance, roller blinds are very simple to perform and lack zest, but this is what makes them unique. This design of the curtains perfectly complements the small bedroom, made in a minimalist or ethnic style. They got their name due to the control mechanism, which folds all the fabric into a kind of roll. Japanese This type of curtain for bedrooms is suitable only in two cases – if the design of the room is made either in the high-tech style or in the style of minimalism. In other situations, they will be irrelevant, as they have a special design: flat long flat fabrics from the ceiling itself to the floor, which move along the window opening like a screen or panel. In order for the strips to remain even and not to roll, there are special strips at the top and bottom of the curtains. Choose curtains in the bedroom, as, however, in any other room of the house or apartment, should be chosen for the style of the interior. Far from many housewives know that in addition to their primary purpose (to hide what is happening in the room from inquisitive eyes of neighbors, to protect from sunlight, etc. ), the curtains can either transform the interior, becoming its highlight or completely spoil it. And both of these probabilities are absolutely equivalent. Therefore, you need to choose curtains in the bedroom, not relying on intuition, they say, this color of the curtains will certainly work, and you should choose a model, a picture and a shade according to the style of everything in the room. If you want the room to be stylish, pick up the curtains not for the tone of the wallpaper, but for the upholstery of the furniture. There is no secret here, the fact is that, as practice shows, wallpaper is glued in the bedroom much more often than furniture changes. Therefore, to save yourself from the constant torment with the selection of curtains, choose them so that the texture and color, they are in harmony with the furniture. 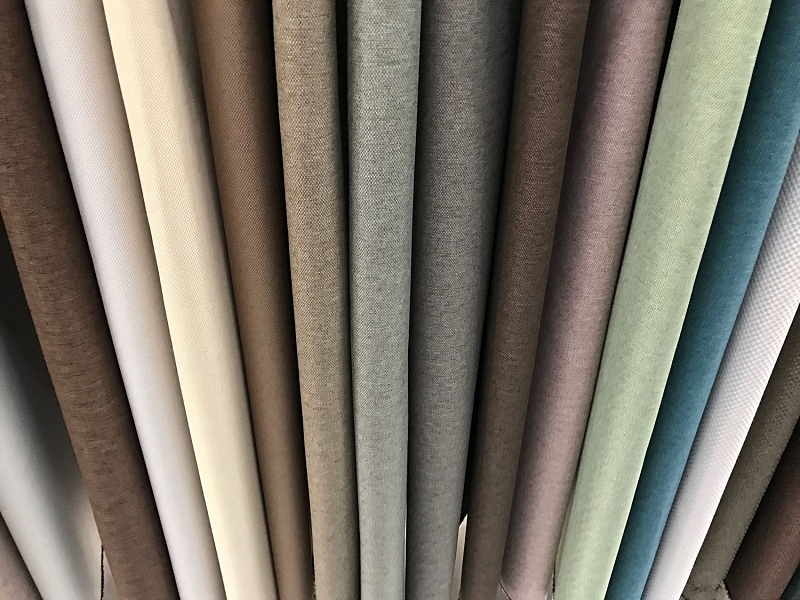 An alternative would choose curtains, the color of which will be the accent of the room, and the same color will be used in the decor (for example, pillowcases or pillows on the bed, decorative flowers on the bedside table, etc.). Tip: if you do not have a good sense of style, it is better not to experiment, but to give preference to the classic design of the window. 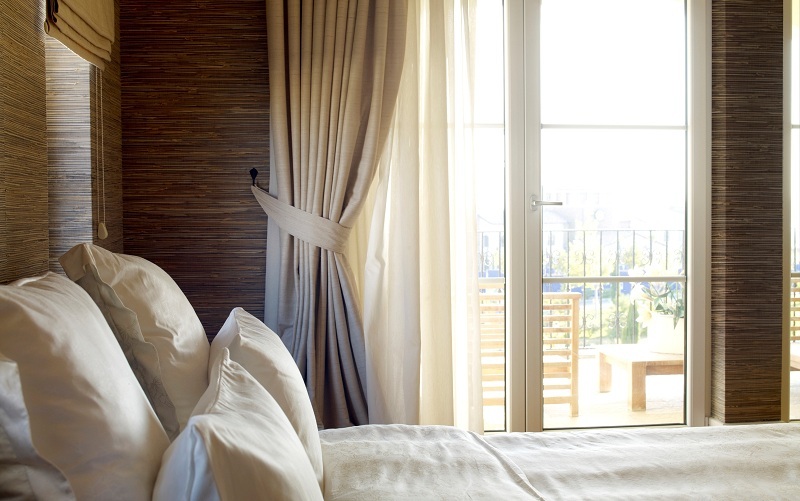 If your bedroom has a narrow window, you can visually expand it using a large patterned curtain. Do not overload the interior if it is saturated and bright even without curtains. In such cases, it is better to stay on a calm color scheme, which will not annoy you, but only dilute the atmosphere of the room. Conversely, if the room lacks bright and stylish accents, then you can safely fix it with the help of curtains. The ornament on the wallpaper or bedspread can be repeated on the curtains under one condition: if it looks appropriate and harmonious. 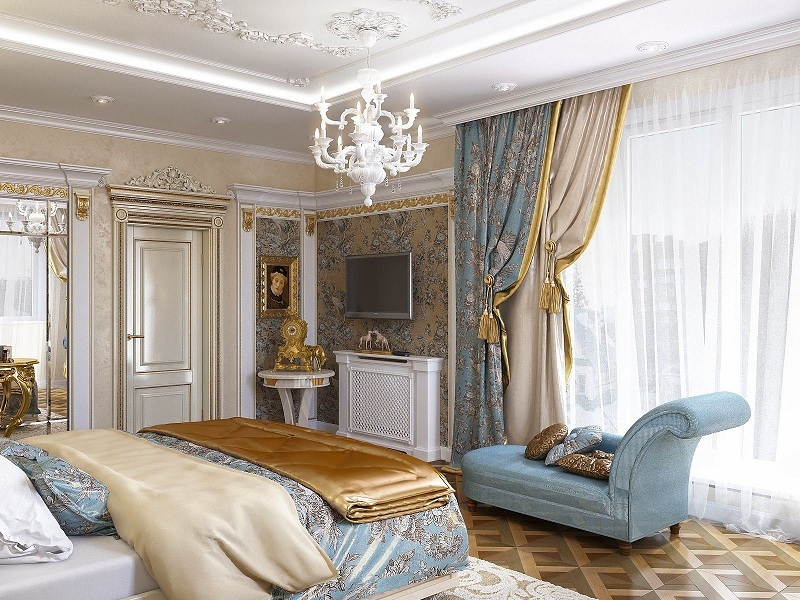 As a rule, designers try not to repeat the patterns in each element of the interior: if the wallpaper in the room has a striking pattern, then the curtains are monotonous, and if the walls are covered with plain wallpaper with a soft texture, then the curtains will be diluted with all kinds of patterns. As for the preferred colors, it is preferable to light shades (coffee, beige, white, ivory), which will soothe and tune to rest. 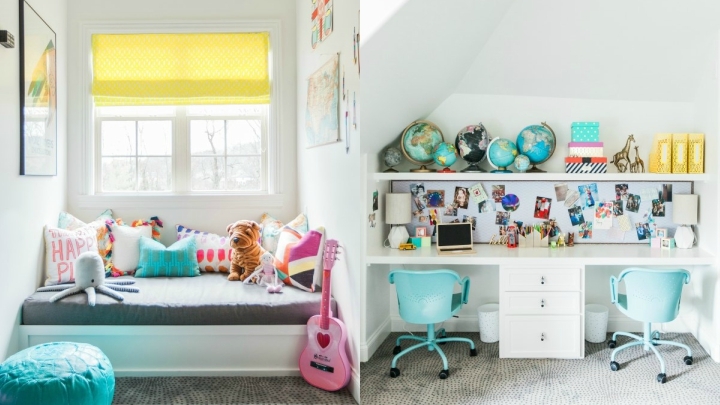 But there are no strict rules here – it all depends on your preferences and the style of the bedroom. But remember that color has a strong effect on the subconscious and can play a cruel joke with it. 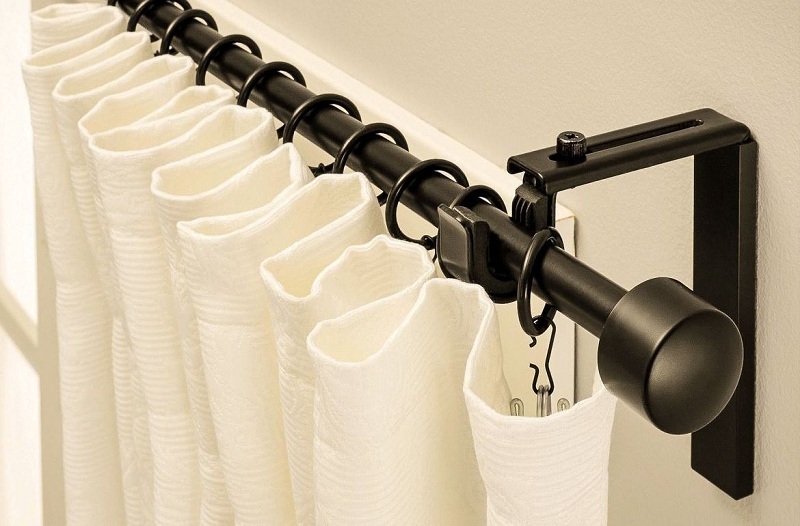 Hanging curtains is a simple matter, but it requires knowledge of some nuances. First, along with the choice of design of curtains, you must decide on the type of the eaves. 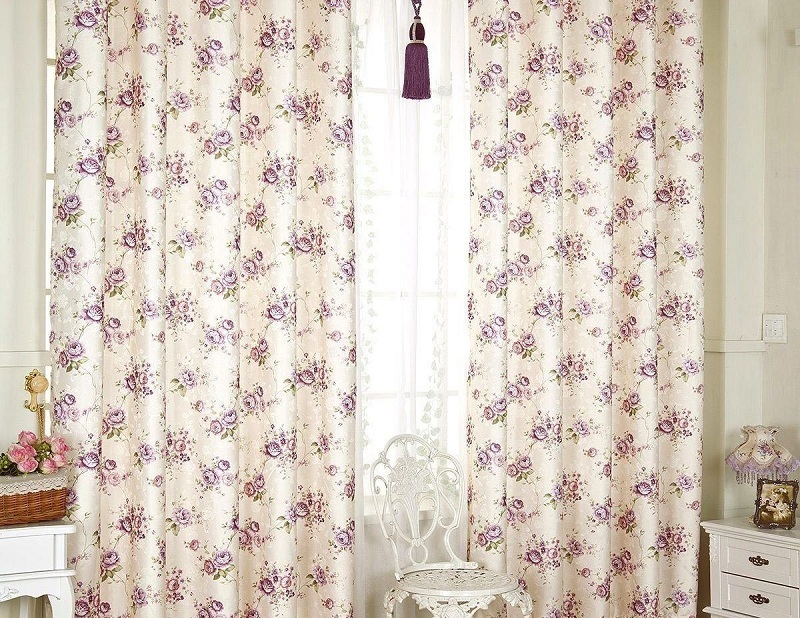 Secondly, you need to choose the mechanism of fastening to the eaves that is suitable for the style of curtains. And finally, thirdly, choose curtains for the appropriate decor, if the use of such does not conflict with the style of the room. Choosing curtains for your bedroom, you need to remember the main rule – the rule of the golden mean, which says that in all you need to know the measure. And, of course, do not forget about your own preferences: if you feel comfortable in the bedroom, where heavy drapes of deep blue color adorn the window, and this color is not used anywhere else, then enjoy them and do not listen to reproaches from the side. You like – that’s the main thing.